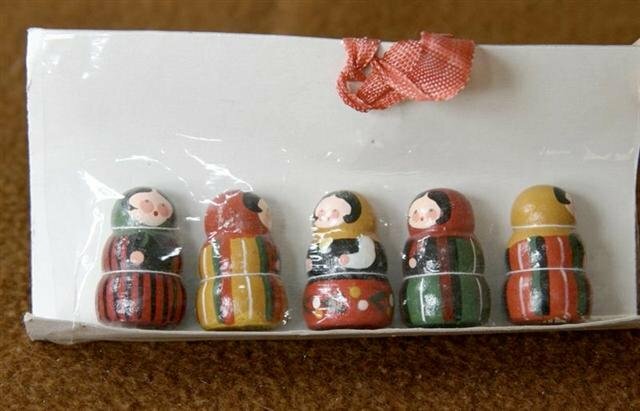 This set of five Polish Zakopane dolls do not open, each is solid. They are each a miniature version of a Polish nesting doll, each one is 1" tall. They have never been removed from their packaging, so each is in perfect condition, in their original package with a ribbon.